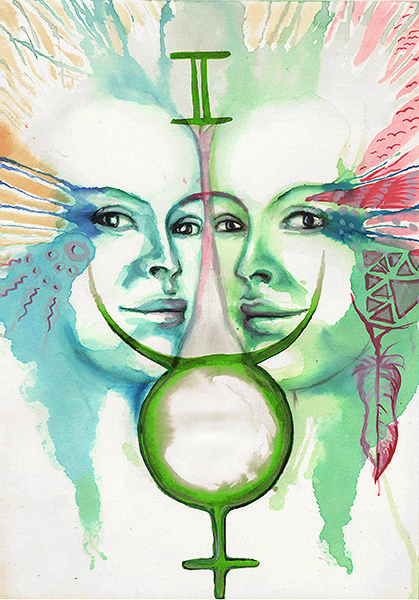 Moon in Gemini manifests itself by the need for changes and spontaneity. Safety lies in thinking about your feelings and sharing them with others. You can be talkative and you speak skilfully and with ease. This ability can be used in literature, journalism or in counselling. You can correctly predict the mood of a person, but do not ignore the deeper emotional motives. You have a good innate ability to keep a cool head, but beware, cold heart can discourage others. Harmony of thinking and feeling is important. You have the ability to easily get acquainted with many people, but it is more difficult for you to maintain a few solid friendships.